Small business owners, especially sole proprietors often mix business credit accounts with personal credit. This can be dangerous as it leaves your personal credit at risk should default occur on the business credit. The distinction between business credit and personal credit becomes blurred if you give a personal guarantee when you apply for business credit. The personal guarantee acts as a co-signer which makes you personally responsible for the debt if payment is not made. Even if the business credit never reported to the personal credit reports, should default occur, it will undoubtedly find its way to your personal credit reports. This puts not only the business credit in jeopardy but also the personal credit. Having a bad business credit rating would be detrimental to your business reputation and make it difficult to obtain future credit and financing. But having personal credit in danger means you could lose personal assets, including your home and automobile. Your total financial outlook would be in jeopardy. It would be a long and difficult road to recovery having both business and personal credit ruined. If the business was structured as a corporation it would be easier to get business credit without a personal guarantee and since a corporation is a distinct legal entity, the business owner’s personal assets are protected from liability the business may incur. 1. Avoid being maxed out on one credit card. Keep charges for business expenses separate from personal charges. Utilize one card for your business and one for personal finances. A sole proprietor runs the risk of decreasing personal credit scores if the business credit card is maxed out with personal charges as well as the business charges. 2. IRS business deductions. Separate business accounts signal to the IRS that you have a real business and not a hobby. Should the IRS come to the decision you have a hobby and not a business, some deductions would be prohibited. 3. Track business expenses. Tracking business expenses is much simpler when they are separated from personal expenses. A sole proprietor risks losing deductions when business and personal records become intertwined. Utilizing separate credit accounts makes it a lot easier to keep track of deductible items. Tracking businesses expenses can be an awesome task if both business and personal charges are on one statement. It takes time to go through all of your statements to find the business expenses. Sole proprietors should take advantage of every deduction possible in order to pay as little in taxes as possible. 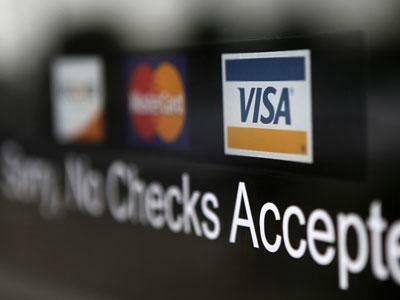 Some business credit cards make it difficult to get approved without a personal guarantee. In this case, you may have no choice but to provide a personal guarantee. Incorporating your business will make it easier to obtain business credit, in some instances, without a personal guarantee. Just remember, should you provide a personal guarantee it is just like being a co-signer on a loan and you will be liable. Check out business credit to learn how to establish business credit without a personal guarantee.